A tiny wafer piece of technology could be the future face of interstellar exploration. The so-called “nanocraft” contains cameras, photon thrusters, power supply navigation and communication equipment. Yuri Milner, a Russian Billionaire and Internet entrepreneur has revealed a plan to deploy thousands of them to travel to our nearest neighbouring star system, Alpha Centauri, 4.37 light years away. Powered by energy from a huge, Earth-based laser, they would fly at about one-fifth the speed of light – taking 20 years to reach the star system, where they would make observations and send back data. The 100 million dollar project – called Breakthrough Starshot has won the support of Stephen Hawking and Facebook boss Mark Zuckerberg. “It aims to demonstrate proof of concept of high speed light-driven ‘nanocrafts’ and to lay the foundations for an eventual voyage to Alpha Centauri,” said Milner. The project is based on technology almost or already available. “Light driven nanocrafts are the most pragmatic technology available. Fusion and anti-matter are a long way away in the future,” commented Stephen Hawking. So what’s the probability of finding intelligent alien life in the next 20 years? 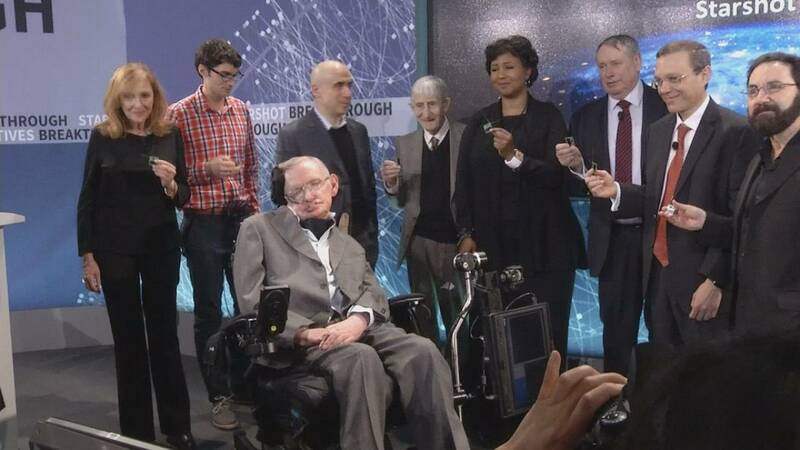 “The probability is low… Probably…” said Hawking, giving his assessment. It is envisioned that a larger, conventional spacecraft – containing thousands of nanocraft – will go into orbit, and then launch them one by one. Scientists hope the tiny pieces of tech will eventually fly more than a thousand times faster than today’s spacecraft.